Who is NSPF, and what do they offer? You are here: Home / Blog / Who is NSPF, and what do they offer? Orenda Technologies and the National Swimming Pool FoundationⓇ (NSPFⓇ) met at the International Pool Spa Patio Expo in New Orleans this past November. The organizations saw a perfect opportunity to help customers of both NSPF and Orenda and to expand the growth of the aquatics industry as a whole. Today, Orenda would like NSPF to explain a little bit about itself, which we will accomplish in this blog post. Let's begin! We are on a constant mission to encourage healthier living by increasing aquatic activity through education and research. NSPF is a non-profit organization that has been around for 50+ years in the aquatics industry. We believe everything we do helps people live healthier lives. We believe we can make a difference by encouraging more aquatic activity, keeping pools safer, and keeping pools open. As a 501(c)3 non-profit, proceeds go to create educational programs, fund research and create more swimmers. As an organization, we are small but mighty. We have about 20 employees, and we are based in Colorado Springs, CO. NSPF has educated 450,000+ professionals and instructors in more than 100 countries around the world. We help instructors, who in turn educate their students. We offer books, provide online courses, create training programs, promote partnerships, and organize conferences that help the aquatic industry grow in numerous ways. The NSPF Operator handbook. They set the standards for lifeguard and CPO training. Many NSPF courses are offered online with a corresponding physical book that ships straight to your door. 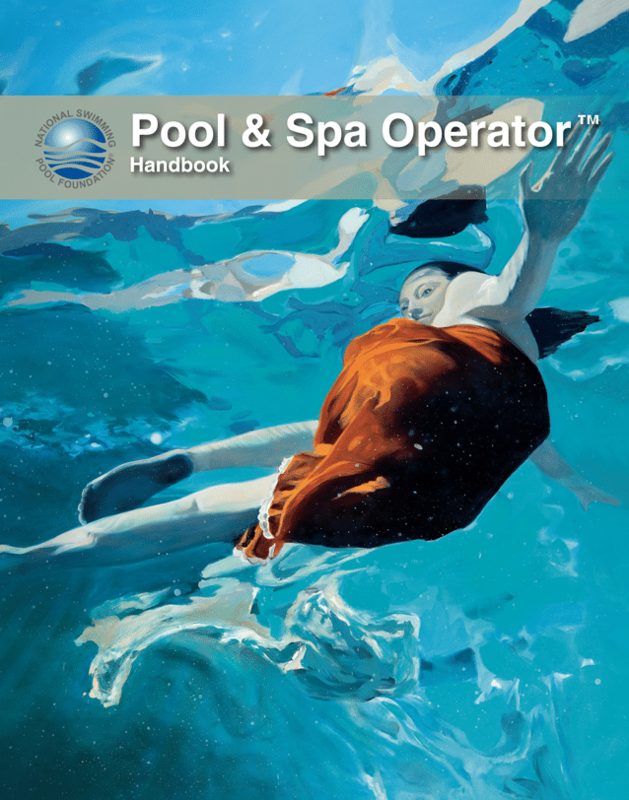 People around the world learn how to be a proficient Pool & Spa Operator thanks the Pool Operator Primer™ (POP) which is accompanied with a Pool & Spa Operator™ Handbook. If a pool operator would like to provide a safer facility that is open on a regular basis, POP is the course to take, as it provides the education needed to run pools and spas. The Handbook is also updated by the NSPF Education committee every two years. NSPF additionally offers courses on Water Chemistry Basics, Aquatic Facility Audits, Aquatic Risk Management, Emergency Response Planning, RWI’s, and other relevant topics. We also offer a Home Pool Essentials course for backyard pool owners who want their personal oasis to be safer and remain open with no water problems. This course was developed in partnership with the American Red Cross and provides details that any pool-homeowner should know. But the majority of NSPF’s courses revolve around what the aquatic professional needs to know to properly operate their facility. NSPF’s most popular training program is the world’s leading verifiable pool and spa training credential, the Certified Pool & Spa OperatorⓇ (CPOⓇ) Certification Course. 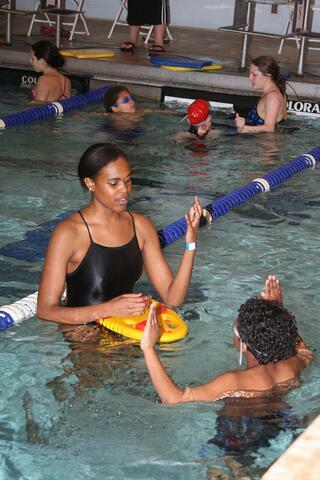 The program provides an opportunity for students to gain basic knowledge, techniques, and skills of a pool and spa operator from an NSPF Instructor. This training has helped protect millions of swimmers by reducing hazards at aquatic facilities. The CPO Certification Course is also eligible for IACET Continuing Education Units (CEUs). As an organization that prides itself on scientific developments and providing the life-saving skill of swimming, NSPF partners with many different brands to further both of these missions. A few of the current partnerships are with USA Swimming (SwimToday), the American Red Cross (Home Pool Essentials), and Water Safety USA (Anti-Drowning Organization). NSPF looks to move forward and continue creating more partnerships with other relevant brands. Each year, about 400 industry decision-makers attend the conference from many countries (13 in 2016), including speakers that hail from America, Austria, Canada, Germany, and Spain. 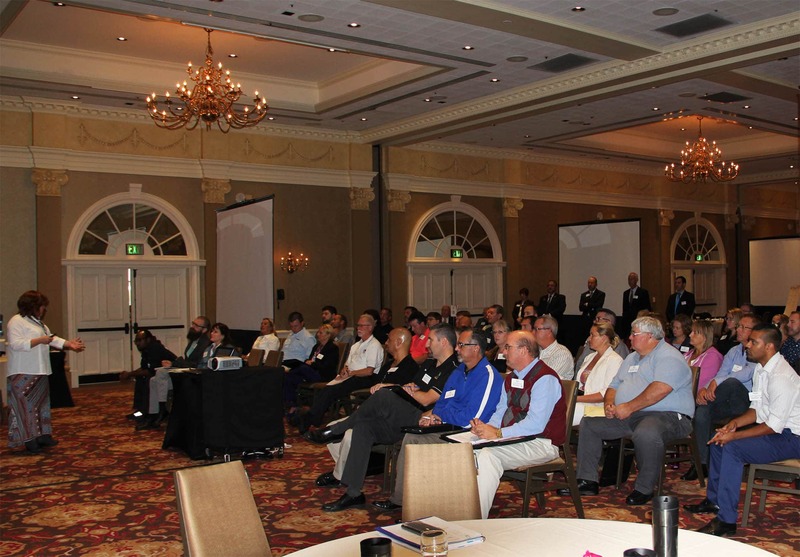 The WAHC also provides other organizations a chance to host their annual meetings before and after the conference. USA Swimming hosts their Regional Build A Pool Conference, the Council for the Model Aquatic Health Code (CMAHC) holds its biennial Vote for the Code conference for the CDC Model Aquatic Health Code (MAHC), and Aquatic Therapy University. 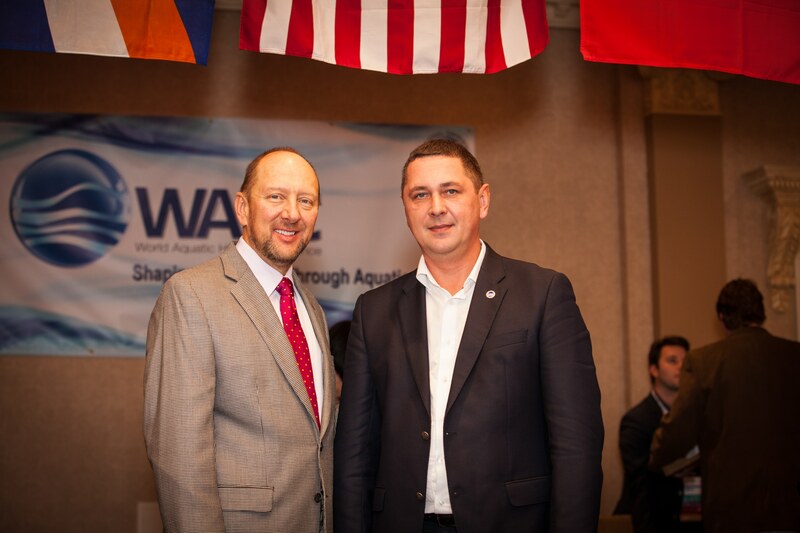 The WAHC is an extraordinary educational conference where aquatic industry professionals discuss, learn, and network with like-minded people. In 2012, NSPF launched the Step Into Swim™ Campaign, a 10-year initiative to create 1 million more swimmers, which aligns with NSPF’s mission of making a difference by encouraging more aquatic activity. Step Into Swim raises money and then donates its funds to organizations and swim clubs around the country. Many of the clubs provide swim lessons to underprivileged children who would not otherwise learn the life-saving skill of swimming. NSPF’s Step Into Swim Campaign is deeply ingrained within the Foundation and how we compose ourselves for the industry and what many of the employees think about, while trying to improve the world. The National Swimming Pool Foundation takes great prides in all that it offers.If you would like to learn more about the products, courses, conference or Step Into Swim Campaign, please email service@nspf.org or call 719-540-9119.